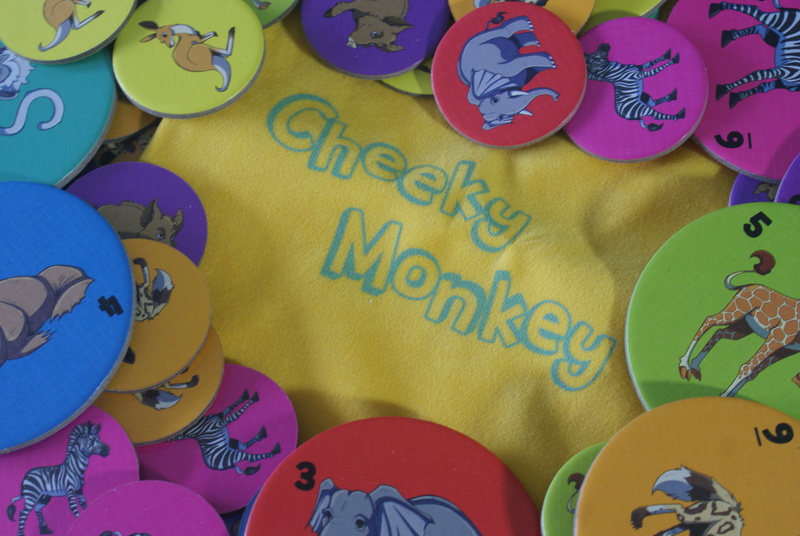 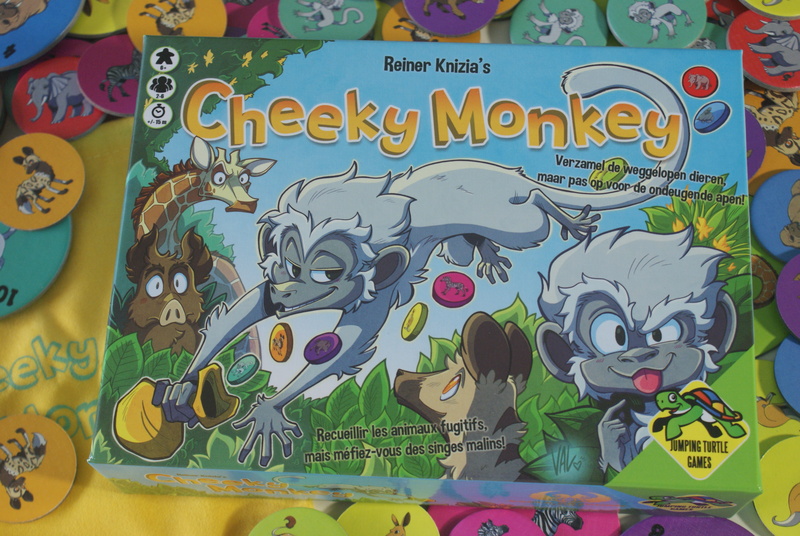 Assemble the animals, but beware of the cheeky monkeys! 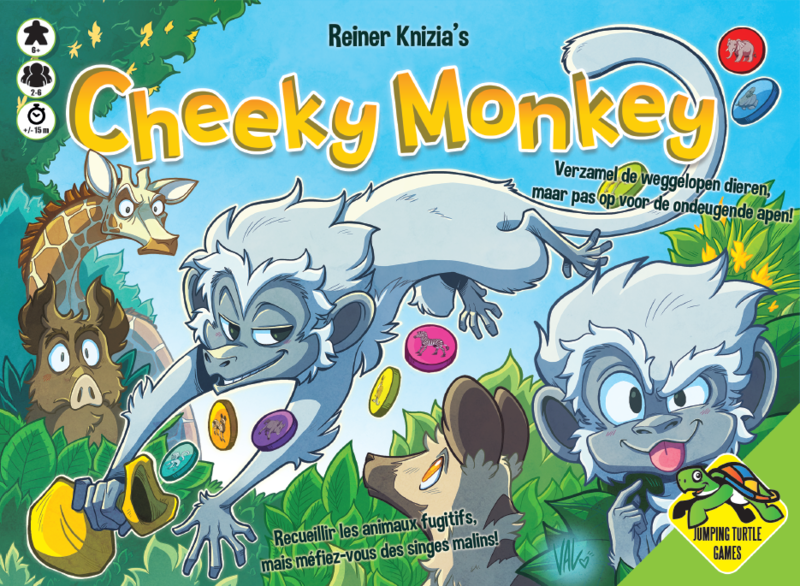 A push-your-luck classic from the hand of Reiner Knizia. 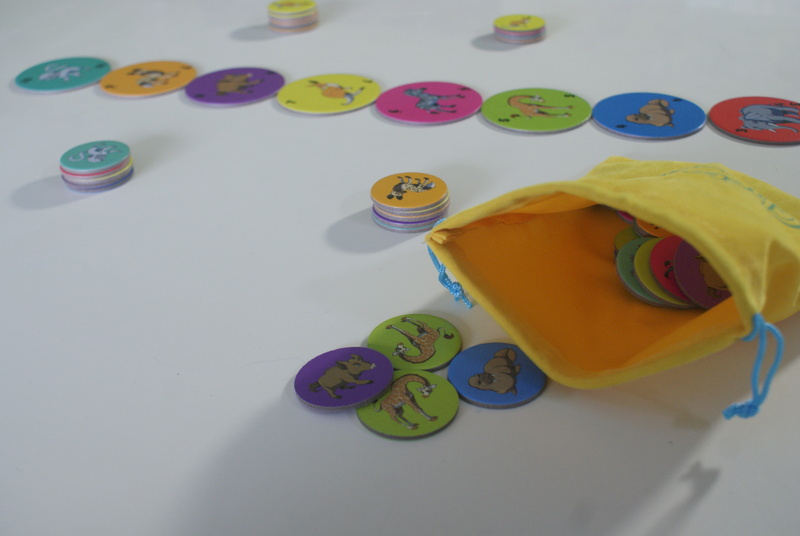 The base game is playable from 6 years old, but the included variant makes the game possible for children starting from 4 years old. 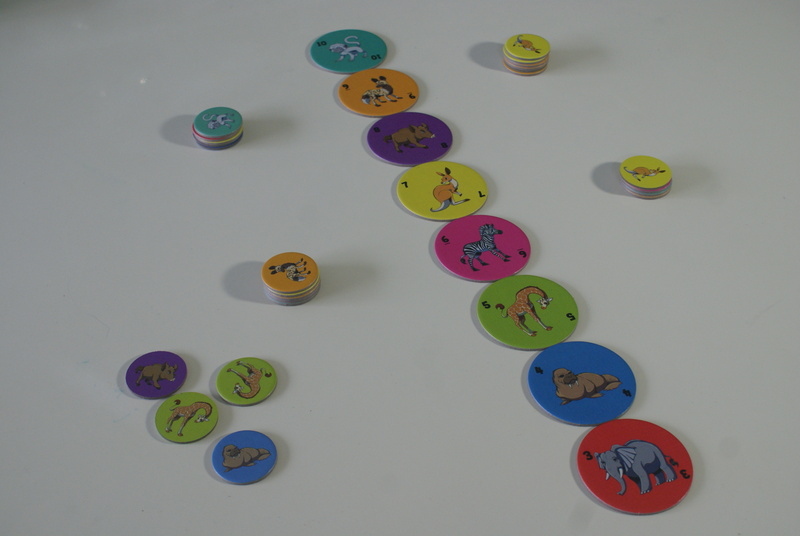 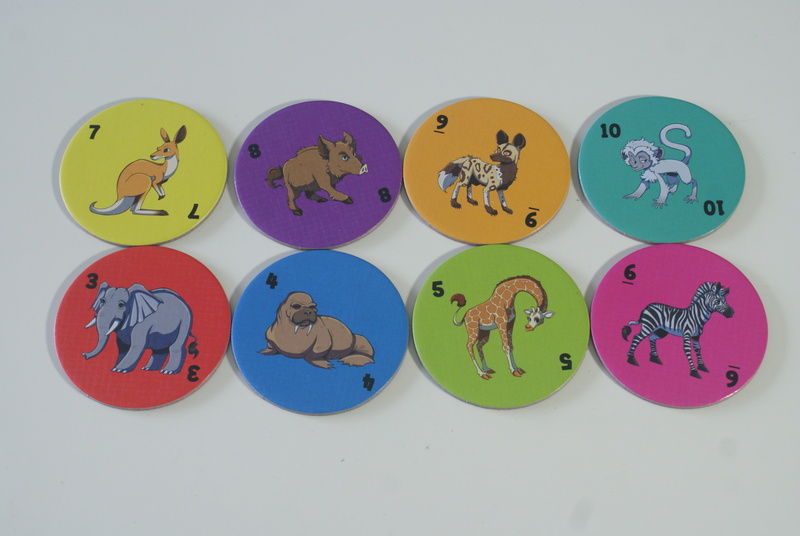 If a player draws an animal chip that matches the animal on top of an opponent's stack, the player can steal this animal, adding it to the chips currently in front of him.